A friend of mine showed me this picture a few days ago. I'm not much of a cryptid person. I tend to be deeply skeptical when it comes to bigfoot and other creatures that some believe lurk in the shadows forgotten by man. This photograph, however, challenged my skepticism. I know the folks that showed me this picture are not the type of people who would fake a photograph. They are pretty busy people. They both work and have children and are stable, normal adults. I don't think they have the time or the inclination to fake a footprint like this. 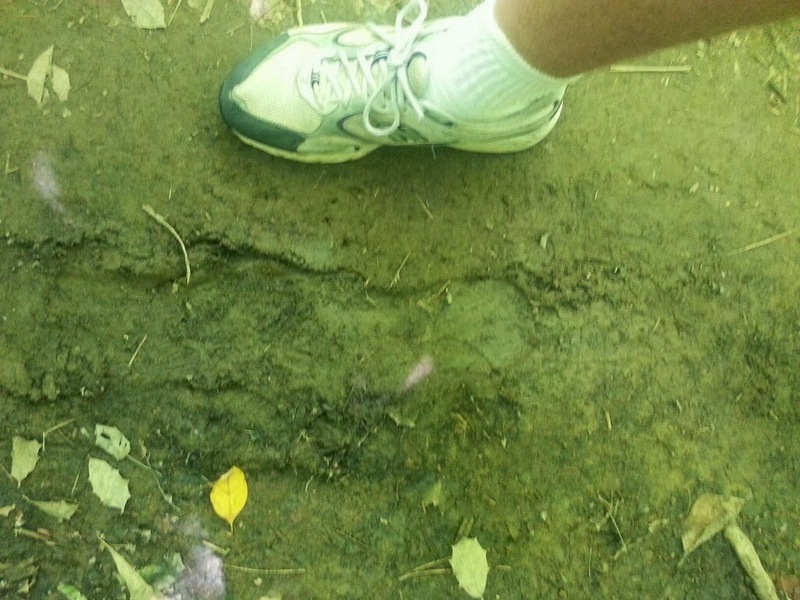 They happened upon this footprint by chance. The man who took this picture is about six foot six by my estimation and has a size 14 shoe. He placed his foot by the footprint to give the viewer a sense of perspective on how massive the footprint is. He also indicated that the dirt around the footprint was packed pretty tight and that he hadn't left a footprint at all that day. This photograph was taken in Tennessee. The width of the entire footprint is very narrow, at no point is it actually wider than I would expect a human footprint to be. As well, the outline of the heel is too perfectly round and rather obviously looks like a shoe to me. I would guess that at some point while the ground was wet, after a light rain for example, someone was out for a walk and slipped, their foot sliding through the mud to make this print.